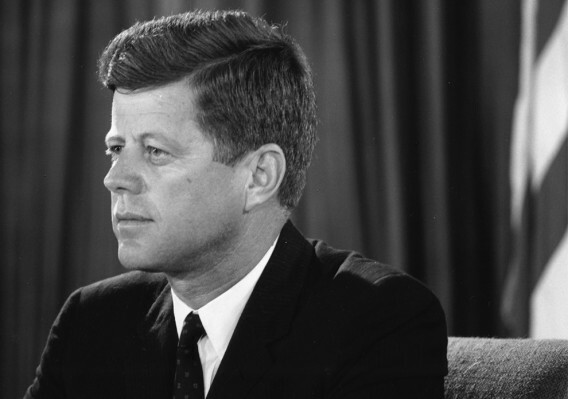 Dallas citizens will honor the life, leadership and legacy of President John F. Kennedy on November 22, 2013, the 50th anniversary of his death. Twenty-five community members and Mayor Michael S. Rawlings, in cooperation with the City of Dallas, are planning an event of solemn observance in tribute to our nation’s 35th president. Together, Dallas and the nation will remember and reflect. Link to the Foundation’s website (50thhonoringjohnfkennedy.com) to learn more about the observance. Presented by the President John F. Kennedy Commemorative Foundation, Dallas Mayor Michael S. Rawlings, and the City of Dallas. Tickets and media access for The 50th: Honoring the Memory of President John F. Kennedy observance are NOT available through The Sixth Floor Museum at Dealey Plaza. Please contact the President John F. Kennedy Commemorative Foundation at info@50thhonoringjohnfkennedy.com for any questions about the event. Note: a ticket to The 50th: Honoring the Memory of President John F. Kennedy observance does not include access to The Sixth Floor Museum.